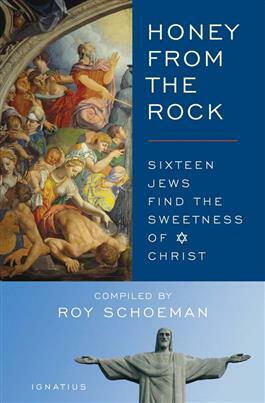 Roy Schoeman’s work, Honey from the Rock illuminates the essential link between the Jewish faith and Catholicism through the lives of those who were born into the Jewish faith and have come to know the fulfillment of their faith in Christ and His Catholic Church. I recommend Honey from the Rock to anyone who desires to understand the revealed faith of the God of Abraham, Isaac and Jacob, which is fulfilled in Jesus Christ and His Mystical Body, the Church. Honey from the Rock illustrates in a most concrete way the truth expounded so well by Roy Schoeman in his earlier work, Salvation is from the Jews, which I also wholeheartedly recommend. This book is far more than just another collection of conversion stories. It is a spiritual pathway with each story creating a stepping stone to transformation. These life changing encounters will deepen your faith and provide insights into the riches of the Catholic Church. It is filled with Jewish wit and wisdom and climaxes in the radical transformation of conversion. I highly recommend this book to all who wish to grow deeper and learn about the Faith from a Jewish point of view. You won’t be disappointed! —Brother Bob Fishman – B.S.C.D. Roy Schoeman has given us all a great gift in showing us the mysterious and wonderful ways in which Y’shua, the Messianic Son of David, and His Mother Miryam continue to speak deeply to the longing hearts of that people to whom, more than all others, we Gentiles owe an incalculable debt. This is a gripping book sketching powerfully the Jewish metaphysical restlessness that nothing can satisfy until they taste Honey from the Divine Rock and recognize in Christ the King of the Jews and the Roman Catholic church as fulfillment of Judaism. This book is a constellation made up of sixteen sons and daughters of Israel for whom overwhelming talents, wordly success, money, pleasure brought nothing but despair. Each one of them had its own path; but what is striking is the role played by the Holy Virgin and the holy hunger for the Eucharist in some of the most amazing conversions. This book will bring joy to its readers and rekindle their hope in the power of God’s grace at a time when the ship of Holy Church is battered by the waves of secularism, relativism, infidelity and betrayal.